The first time Pete Ripmaster entered the Iditarod foot race was in 2004, while pulling a 92-pound sled. He ended up getting lost and had blisters on his feet from his toes to his heels. “If you think of golf tees, take a thousand of those, turn them upside-down and then step on the pointy top of the tees, that’s what it felt like,” Ripmaster said to RealClearLife. The Iditarod, normally thought of as a dog-sled race, has evolved to the Iditarod Trail Invitational, which includes participants on foot and on bikes. The path cuts through some of the roughest terrain in the western hemisphere, with winds reaching 120 mph and temperatures that can drop to -50 or below. Participants can enter the 150-mile, 350-mile or 1,000-mile competition. That year, Ripmaster completed the race in dead last. 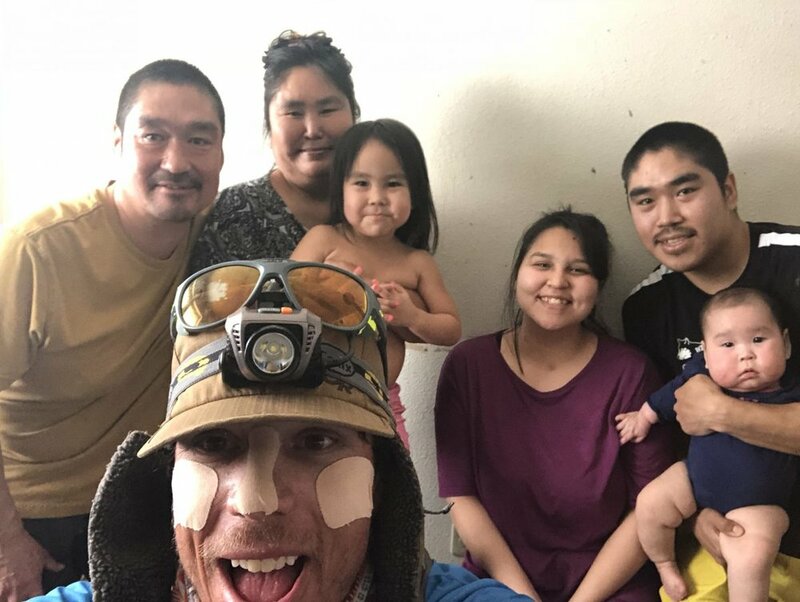 “I think after his first year he was quite fascinated with the Iditarod trail, like a lot of people, and definitely had the urge to come back,” said Merchant. And come back he did: Ripmaster entered for a second time, dropped 40 pounds from his gear and was in “fighting shape” when he got to Alaska. Like the first year, he was participating in the 350-mile race. He finished in six-and-a-half days and took third place that year. But that wasn’t good enough. He went back the next year thinking he was ready to do the 1,000 mile race, which takes competitors from Seward to Nome. About 200 miles into the race, Ripmaster fell into the freezing Tatina River when an ice bridge he was slowly crossing collapsed, throwing him into the fast-moving waters. “I thought I was going to be the first person to die on the trail,” the 41-year-old said while recounting the story during a phone interview. “It could have happened to anybody, I made all the right decisions.” Ripmaster had been testing the strength of the bridge with his hiking poles as he crossed. Ripmaster said that one of the worst parts of the accident was that he was not able to talk to his wife, Kristen, before the story got out, so she read about it before she heard from him. However, Kristen stayed supportive, and backed his decision to continue trekking along. He made it another 300 miles. Take four: In 2017, Ripmaster got back on the trail, but 175 miles in, the temperature dropped to -65. “In my mind I kind of promised myself if there was no bone showing, I was going to finish this race,” Ripmaster said. Ripmaster told RCL that competing in the Iditarod had been a dream since childhood — though not necessarily running it. As a boy, he had wanted to be a dog musher, which is why he moved to Alaska in the early 2000s to run dogs. Ripmaster lost his mother to breast cancer just four years later. So Ripmaster decided to make the move to Alaska and “re-find out who I was.” Though he tried to be a musher, he realized it wasn’t for him and started to focus on other outdoor activities. He and his wife moved to Asheville, NC in 2006 and he worked as a teacher and ran the Black Mountain Running Co. shop for several years, according to Citizen Times. He unfortunately later lost his father to prostate cancer. In 2013, he ran a marathon in every one of the 50 states, including Alaska, and raised more than $60,000 for cancer research. He went on to run ultra-marathons — footraces longer than the traditional 26.2 miles — before applying to run in the Iditarod. When Ripmaster entered the race in 2018, no one knew how “fired up” he was about completing the 1,000-mile trek. He saw this attempt as his third strike; if he didn’t make it, he was out. He was not there to win the race, and decided to keep his pace steady. He successfully made it over the river he had once fallen in. He listened to a lot of books on tape and podcasts — his favorites include anything about adventure or stories about people who “have done way more than I have with way less than I have” — as well as some music while trekking. He also focused on being in the moment and the “power of now” and would listen to Eckhart Tolle, a spiritual teacher. He crossed the finish line at 4:30 in the morning. “And I had won the freaking Iditarod,” he said to RCL, reflecting on the moment months later. So after five times, and one win, will he do it again? Definitely not.